Every once and awhile, you’ll go into a used bookstore, and after you finish wondering about the future of the print industry thanks to e-readers, you’ll browse the musty collections and find a gem. A gem like what I have deemed to be the “Awesomest Cookbook Ever” — and that’s awesomest in the original sense of the word. I mean I got down on my knees and thanked the mystical forces of Asgaard for leading me to that day. Or I would have, if there was room in the tiny bookstore I found myself in. 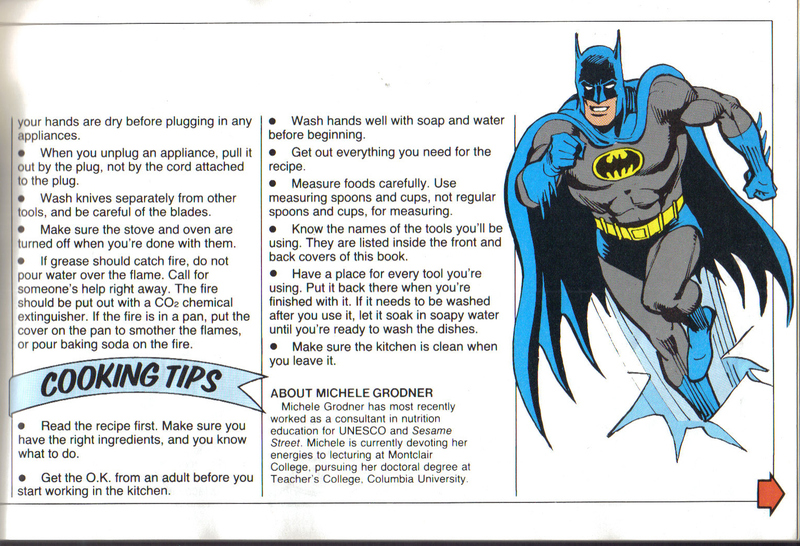 Back in 1981, Random House put out this cookbook for kids featuring the main pantheon of DC superheroes, those that form the front guard of the Justice League. (Nerd time: The Martian Manhunter was not included in this book because at the time of publication he was not a regular within that pantheon; he is now considered to be one of the fundamental members). Currently, used copies of this book are selling at Amazon for $88 — I bought mine for $4.50: there were a few torn pages that needed taping, but other than that, it was in as good of condition as you would imagine a book that old to be in. 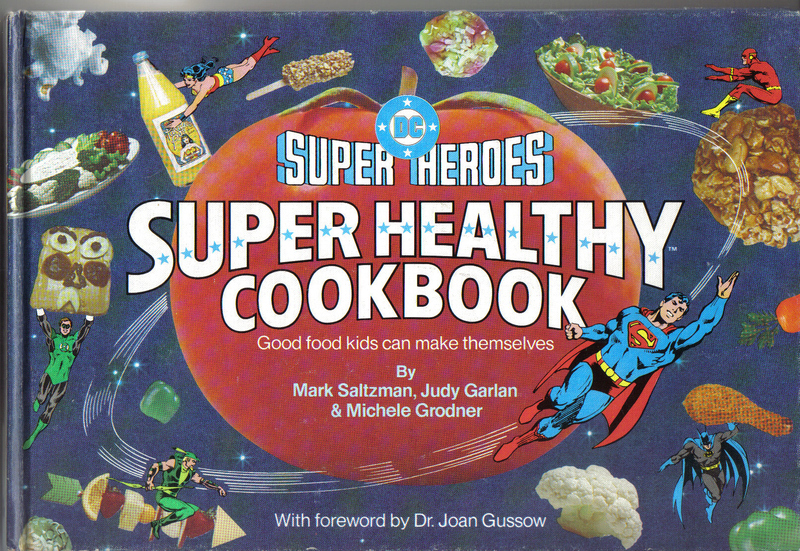 What I love about this book is how it utilizes the semantics of superheroes to instruct children on “Good food kids can make themselves” — even if it means using sharp paring knives. The book is choke full of recipes and helpful healthy advice for children and their parents. 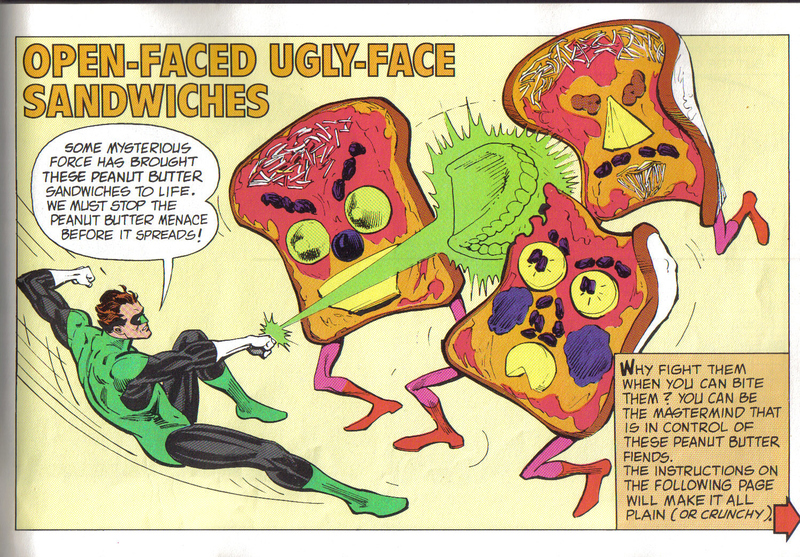 By using the superhero genre, the information is being distributed without completely talking down to the kids. 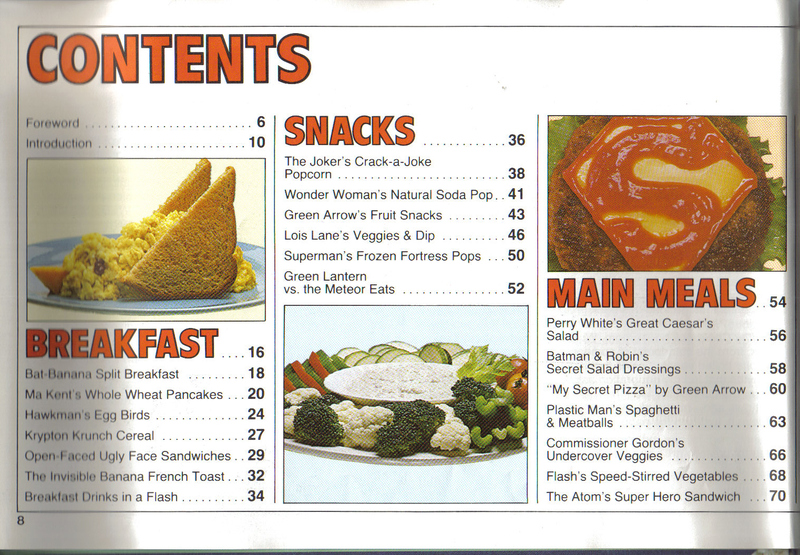 Instead, the kids can learn the recipes and healthy tips by getting the in-jokes from their favorite superheroes. 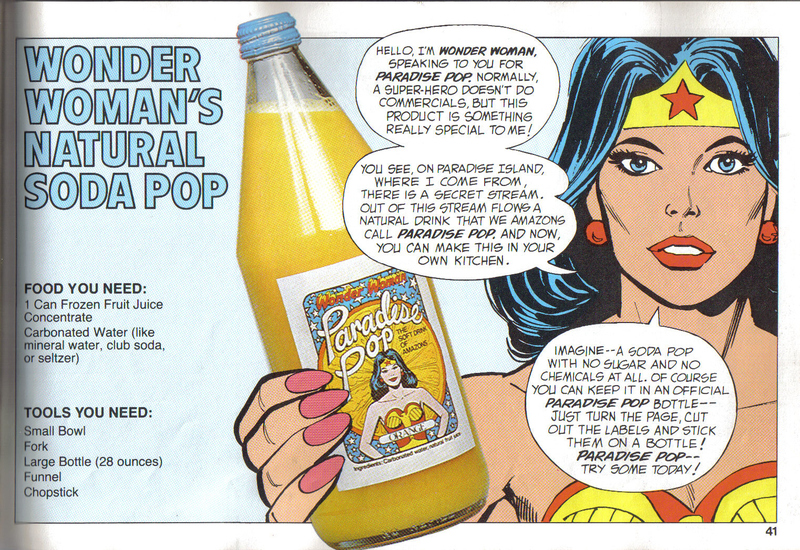 Using superheroes, and other cartoon characters, is a classic advertising tactic when addressing children — for either prosocial or commercial purposes. 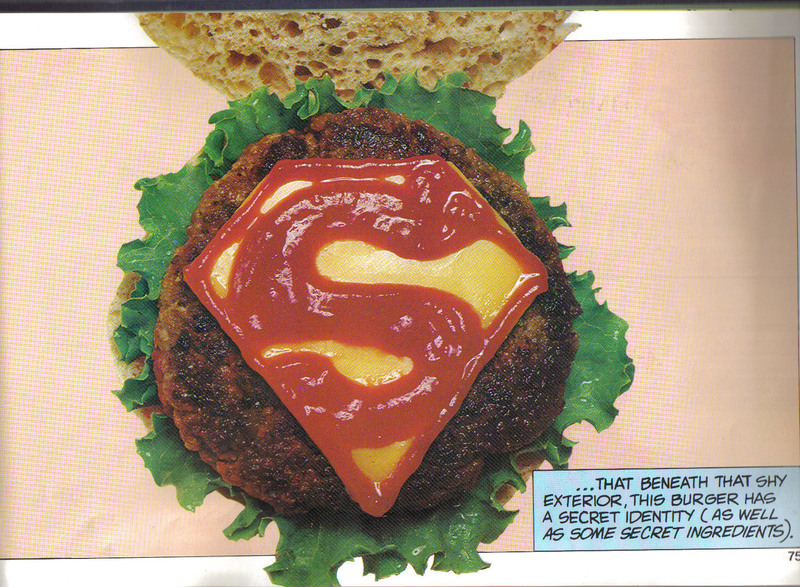 Using their favorite superheroes allows adults to make the information more accessible by making it more relevant and more attractive to the intended audience. It is a tactic for addressing the children on their level, by respecting their affection for these characters and the role of these characters in their lives. — but this “playfulness” has repeatedly been shown to appeal to the intended audience. 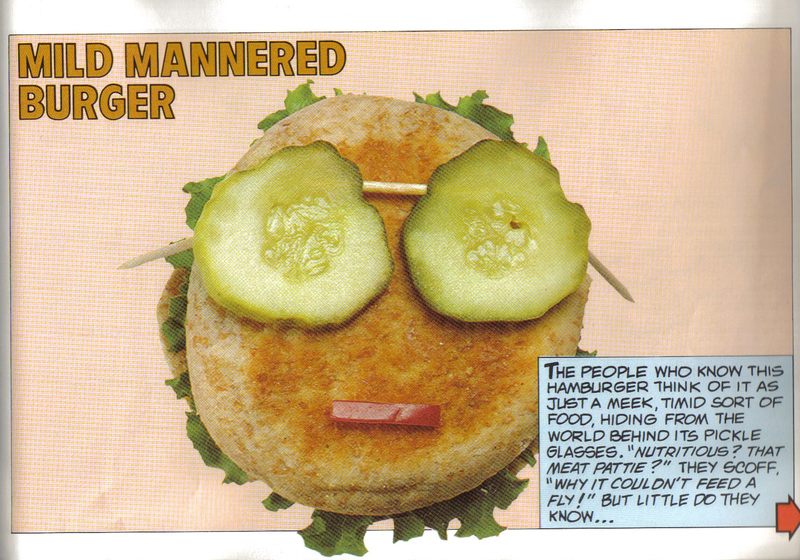 The playfulness is most apparent in the variety of “healthy” recipes in the book. 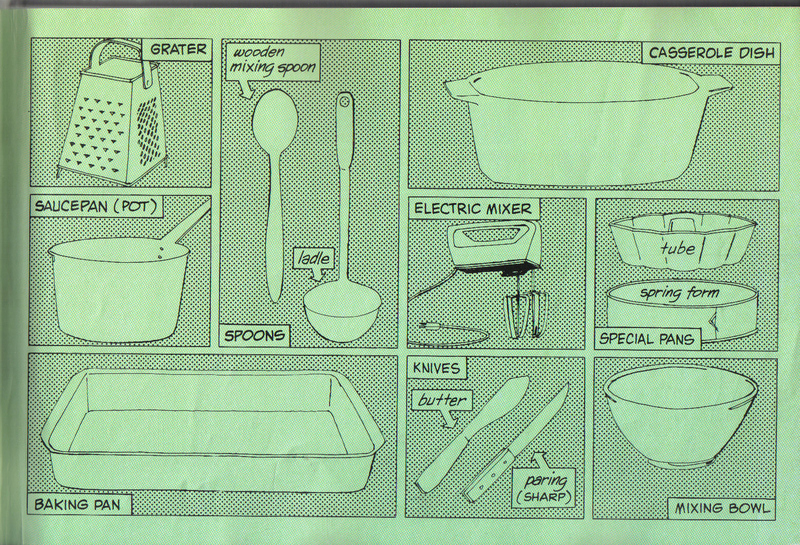 Following the standard cookbook format, the recipes are categorized by type of food being presented: breakfast, main meal, snacks, and so forth. 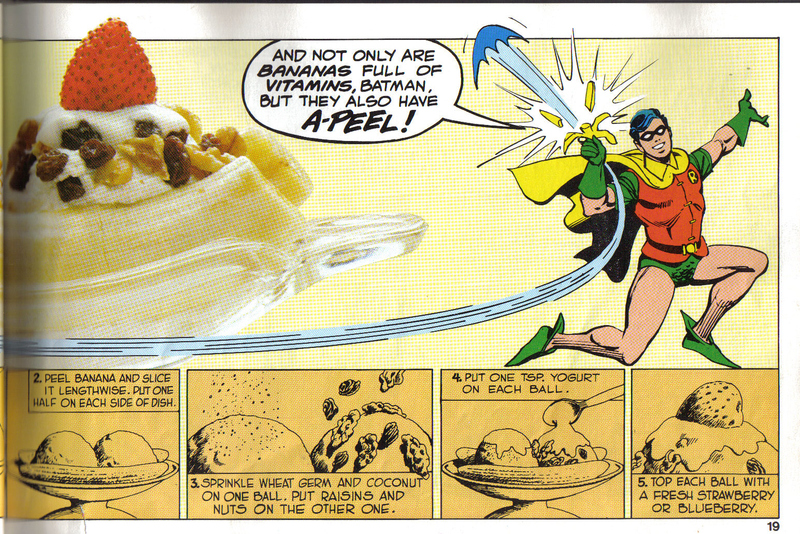 Each recipe is designed to reflect or refer to a specific superhero or superhero duo, as is the case for Batman and Robin. 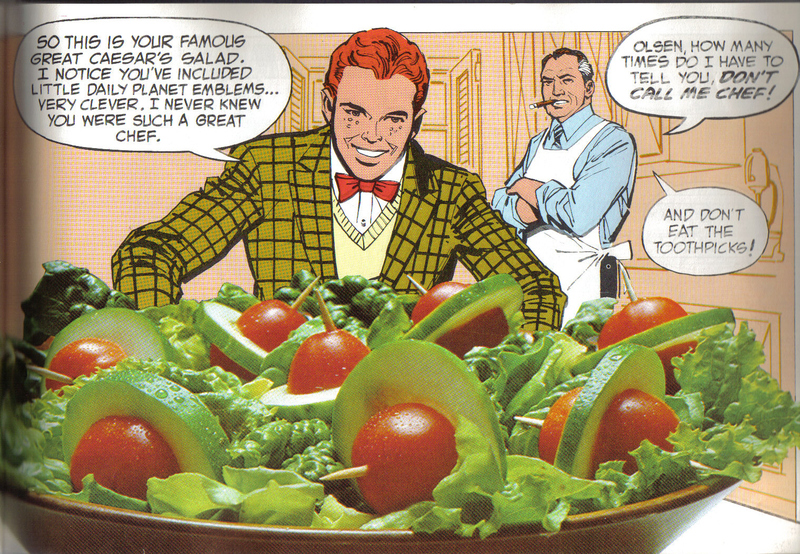 The recipes are all clever and humorous, and written to illustrate the process of preparing the food as a way to help the young cooks and to allude to the comics medium the children would be familiar with. Wow, that is a serious gem! 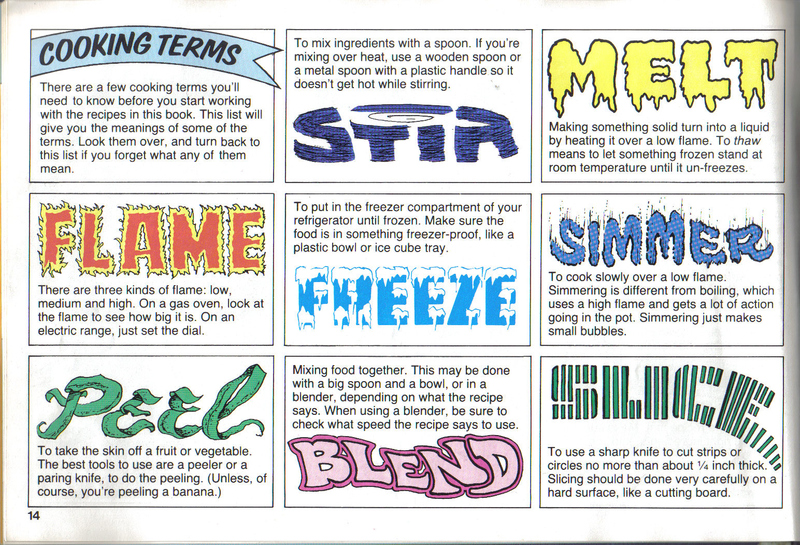 I love the expressive lettering on the cooking terms! 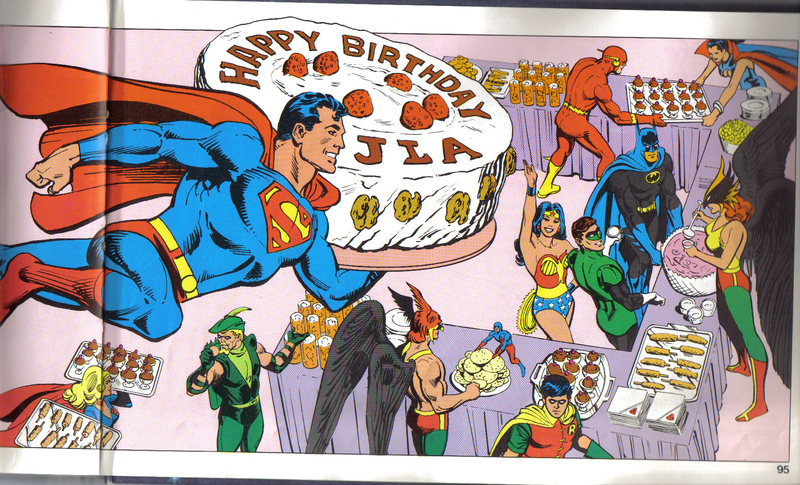 And the group birthday picture…so awesome. Lucky you! Enjoying your blog! The big discussion we had at Harmony Con was hands-down the best part of the entire thing for me. See you next year! Pingback: Dr. Geek: Just What Is a Superhero, Anyway?